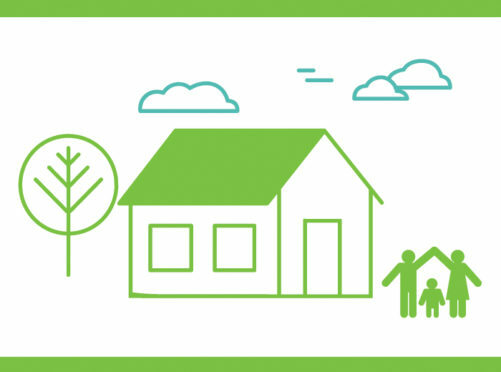 Energy Efficient Scotland aims to provide support to owners who wish to install renewable technologies or energy efficient measures, which will improve the overall quality and condition of their property. The Highland Council is working alongside various partners to provide a support service that recognises the unique challenges of living in rural and remote areas. Dedicated officers will provide full support throughout the entire improvement journey, supporting the owner to a satisfactory outcome. Working with communities and helping to support local businesses is a key attribute of the project, ensuring that not only will the building stock be improved, but the Highlands will remain a strong local economy. Both domestic and non-domestic property owners are eligible for this support service. They will have access to a range of trusted providers, potential funding support and free and impartial advice is offered. It is the intention of the council to set up a provision that will operate alongside Scotland Excel – a framework for suppliers and contractors – which will focus on local suppliers in the Highlands and provide additional choice. This will ensure a community focused approach and utilise local labour and develop skills. Energy Efficient Scotland is the result of multiple Scottish Government programmes coming together to look towards the future of low carbon buildings and a greater reliance on renewable technology. Raising awareness of the importance of having well insulated and efficient buildings is vital in achieving national legislation in upcoming years. The project is currently a two-year pilot scheme, with the aims of expanding and continuing for as long as necessary. 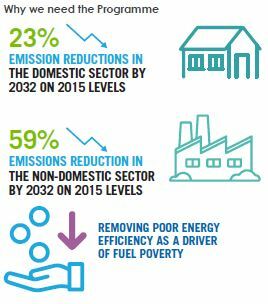 Buildings currently account for 19.7% of Scotland’s greenhouse gas emissions and as per the Climate Change Plan, Scotland must ensure that by 2050, buildings are using as little energy as possible, and what energy they do use is from low carbon sources. 2050 may seem in the far distance, however with staged legislation between now and then, it will come sooner than you think. Therefore the earlier everyone begins to improve buildings, the sooner we will reach the Scottish Government targets. Throughout the pilot scheme, various events and community meetings will be held to promote interest and raise awareness. If you are interested to find out more information, or speak with one of the team, please contact EES.TransitionPilot@highland.gov.uk.